RISHIKESH, INDIA - OCTOBER 9, 2014 : Unidentified poor men sits on the ghat along the Ganges river. 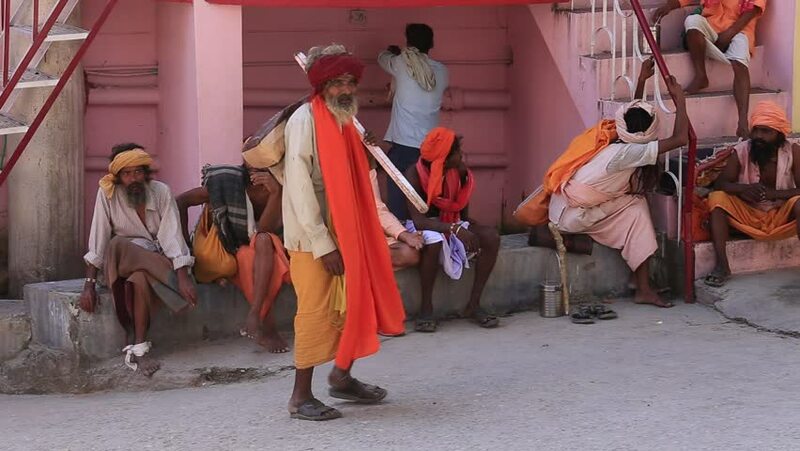 Poor Indians flock to Rishikesh for charity. hd00:14Luang Probang, Laos - October 20: Bhuddhist monks receiving daily food donations outside Wat Sensoukarahm, October 20 2009 in Luang Probang, Laos. 4k00:21VATICAN CITY, ITALY - SEPT 2014: Rome Italy Vatican Swiss Guards by road entrance. Papal Swiss Guard was founded in 1506. Modern military unit responsible for the safety of the Pope Apostolic Palace.